The 2017-18 IFMAR Off-Road 4WD Buggy World Champion! Yokomo's YZ-4 SF 4WD Buggy had the perfect debut at the 2017 IFMAR World Championships in Xiamen, China. Yokomo Factory Driver, Ryan Maifield, would drive his YZ-4 SF to victory and be crowned the 2017-18 IFMAR 4WD Buggy World Champion! Since the release of hi-powered brushless motors, the YZ-2 SF has been carefully designed around this. With the motors anti-torque and vertical motor mount layout being a key factor in not causing an imbalance in steering. Now this shaft drive car can perform more aggressively while staying stable even through difficult jumps and cornering sections. Of course, excellent throttle response is delivered by this unique shaft drive system while also remaining dirt/dust proof. The YZ-4 SF has been designed so that regular drive train maintenance is very easy. 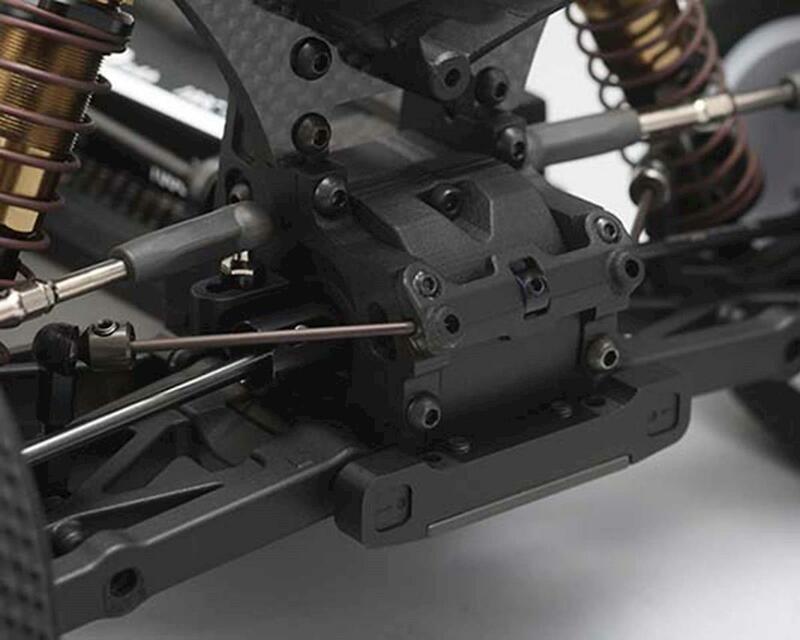 The front and rear aluminum gear box's are sealed very well and the height of the bulkhead can be easily adjusted by exchanging the eccentric cam on both sides. Fine-tuning the differential position (the angle of the dog bone) against the height and suspension geometry is an important setting option which has a significant impact on the overall traction and cornering of the car. It's possible to match the various track conditions and driving styles to provide the perfect balance from the front to the rear of the car. This will prove to be a big advantage in fine tuning each set-up. Also, the YZ-4 SF kit includes two types of front and rear shock springs. Both for low-grip surfaces such as dirt, along with high-grip surfaces such as carpet and astro. Front and rear stabilizer bars, along with gear differential oils are all included so each customer can select the ideal set-up for their specific surface. World Championship proven performance with the freedom to make multiple set-up changes allows you to drive the best in any off-road situation. This is the most advanced shaft drive 4wd off-road buggy on the market. 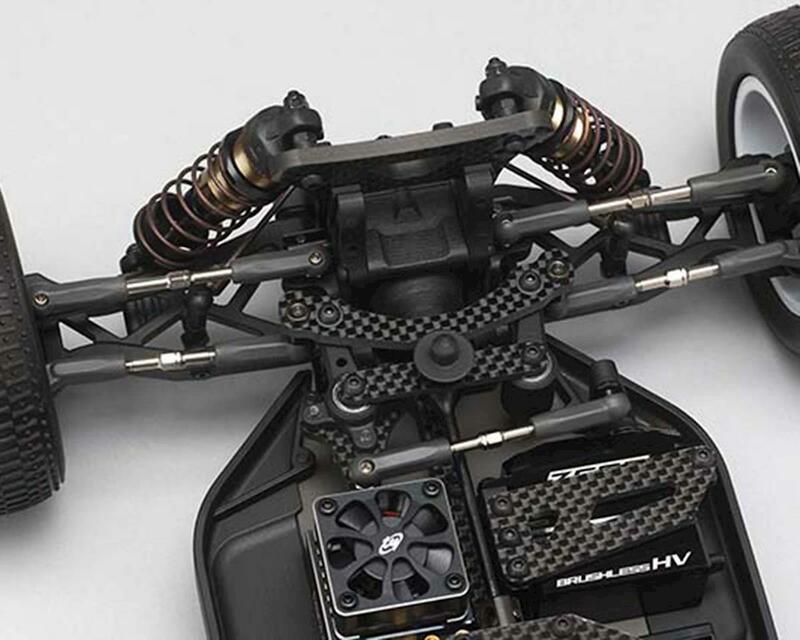 This SF kit is intended to be a "Factory" vehicle, including only the highest quality carbon fiber and aluminum alloy option parts available; typically not included. This kit is the best handling r/c i have ever owned . No need to spend big $$$ on " luxury " option parts . This kit comes with both carpet and dirt setup parts . I have raced this buggy about three weeks now.I have broke 3 front arms 2 rear arms.This car may be good for a high level driver.But if you are a average or below average driver i do not recommend this buggy.I will try to sell it or maybe have to give it away. 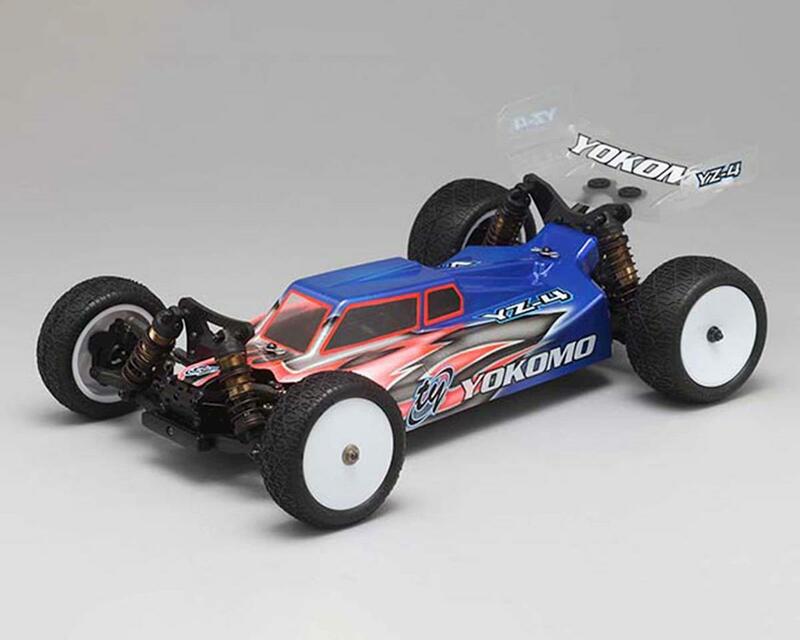 Yokomo bashes a long ball way out of the ballpark. Quality is beyond superb, excellent, easy pain free build. Plush suspension and wow the drivetrain is super super free. Not just another shaft wheeler as the SF has very unique design. The only possible negative for some may be the rigidity of the a arms, as they are very rigid, however I really like the rigid arms. 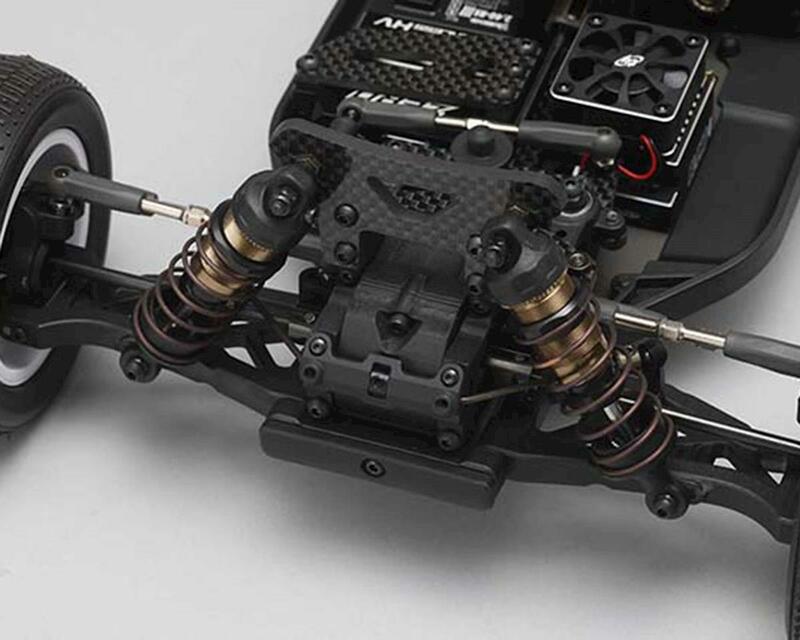 I would imagine Yokomo will produce a softer version of the SF arm sometime down the road. Until then or if they don't people whom prefer softer a arms have a plethora of pre SF YZ4/2 a arms they can choose from. YZ4/2 rears arms are all g2g with the YZ4 belt front +1 a arms being very easy to slightly modify to fit the SF. 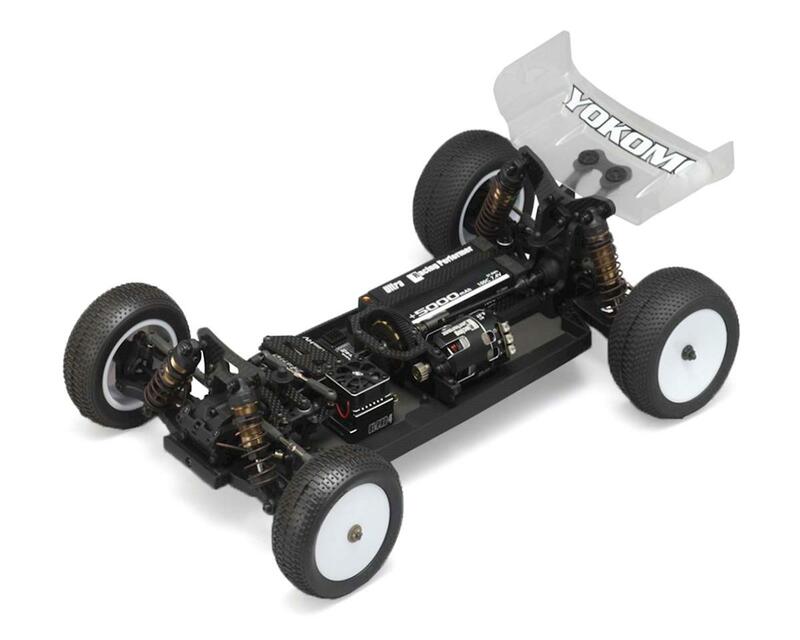 Yokomo did a fantastic job with this kit. The car went together great and was loaded with premium parts. Most importantly the car drives incredible. Hands down the best handling car I have ever owned! Had this car for a year now and it’s great. Probably the best. The only upgrades I use are aluminum bell cranks and front hubs(for durability). Very Tunible for all surfaces and ready to race out of the box. I suggest stocking up on front arms. They are brittle. Most of the winning cars at my facility use the YZ4sf. This buggy is amazing right out of the box and a joy to build. Competitive on dirt or astro. Find a setup and run it! Wow! This car is phenomenal! Built to kit setup with the addition of the center differential kit,orange rear springs, aluminum front hubs. I also put composite gears and aluminum cross pins in the front and rear diffs to save weight. It's as if this car can do no wrong. Dare I say best 4wd buggy I have ever driven? There is a lot of talk about it being fragile but I have yet to break a thing on it. Maybe that is because it drives so well that I rarely tube it. The parts quality and fit it outstanding as well. Drive train is super free. Yes it is expensive, however in this case I believe you get what you pay for. I would recommend this car to anybody, especially those who want to just throw the car on the track compete without chasing setups all the time. Stellar job Yokomo.